Today, I would like to introduce an article about delicious ekiben-related event held in Kanagawa prefecture. According to the article, an exhibition of popular ekiben and local specialty food exhibition was held in Kanagawa prefecture last month. All 140 popular ekibens gathered at once ranged from all-time best-sellers and newly-produced ones. Anpanman bento from Takamatsu station in Kagawa prefecture, which costs 1100 yen (equivalent to US$ 14). 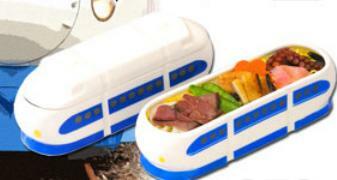 Dream super express train 0 bento from Kobe station in Hyogo prefecture, which costs 1050 yen (equivalent to US$13.50). 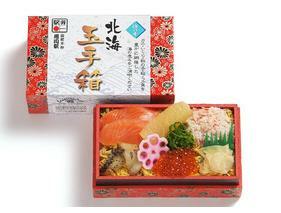 And lastly, Hokkai tamatebako (Treasure chest of the North sea) ekiben of Asahikawa, Hokkaido, which costs 1100yen. I just introduced 3 ekiben, so this means there were 137 more ekiben at the site! Oh, my goodness, making me so hungry～_(_^_)_ Ekiben’s supposed to be enjoyed while traveling. But it must be a great fun to choose your favorite one from countless ekibens brought together and compare each ekibens. How did you like today’s article about ekiben?